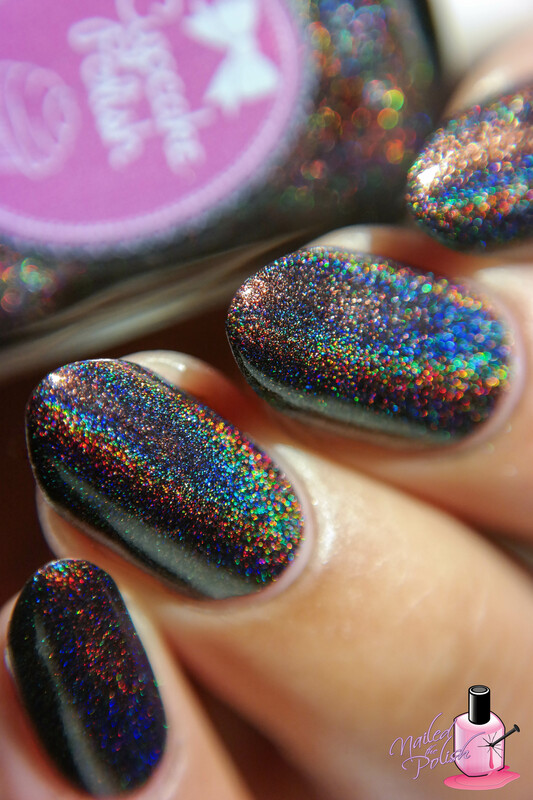 I’ve got a verrrrrry exciting and verrrrrry holo collection to share with you all today! 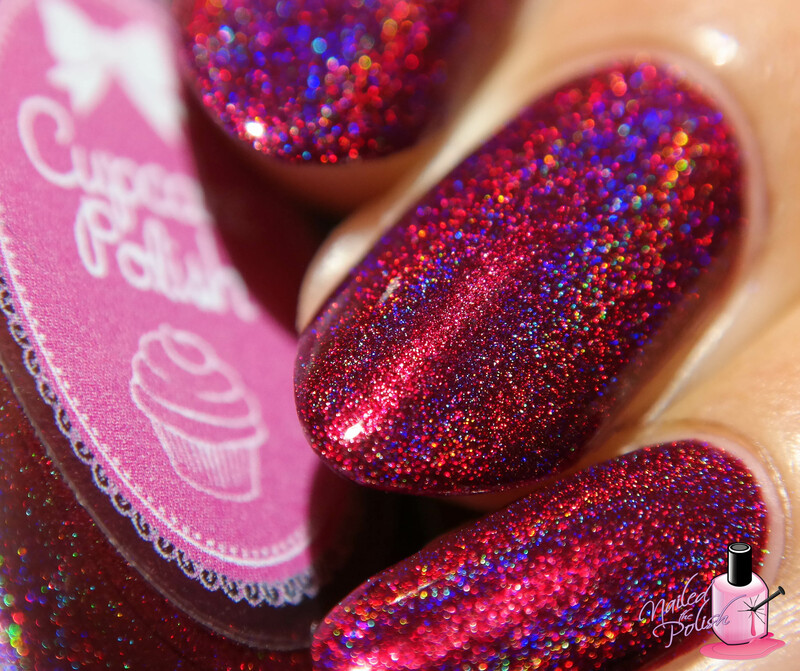 Cupcake Polish‘s Fall 2015 collection – Modern Vampire ❤ You better hold on to your seats ladies and gentlemen cause you’re in for a wild ride! This collection consists of five strong fall-esque/vampy linear holographic polishes which release this Saturday, September 26th at 11am CDT . I can’t wait any longer… let’s get started! 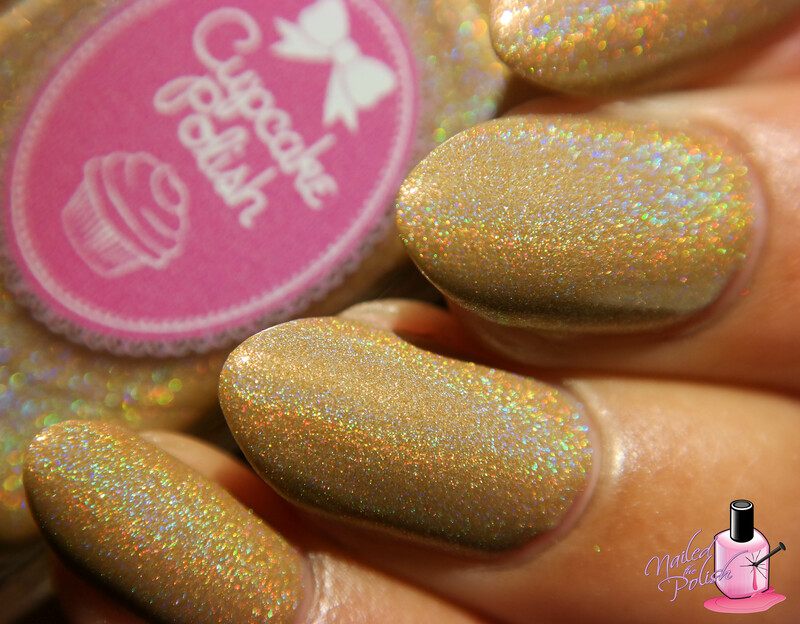 Down for the Count is a golden beige linear holo. Shown here is two coats plus top coat. The first coat was a little on the sheer side so I was surprised (and impressed!) when I reached full opacity with the second coat. Formula wise, it’s great! This is a perfect shade to wear when you need something neutral but still want to have a little sparkle! Re-Vamped is a teal green linear holo. Shown here is two coats plus top coat. Oh, boy… or rather oh, vampire! Things are about to get holo heavy! This shade is stunning and the formula is wonderful. I had full coverage in one coat but added a second to deepen the color. Teal lovers get ready to add this one to your arsenal! Is it just me or is it starting to feel a little warm in here? 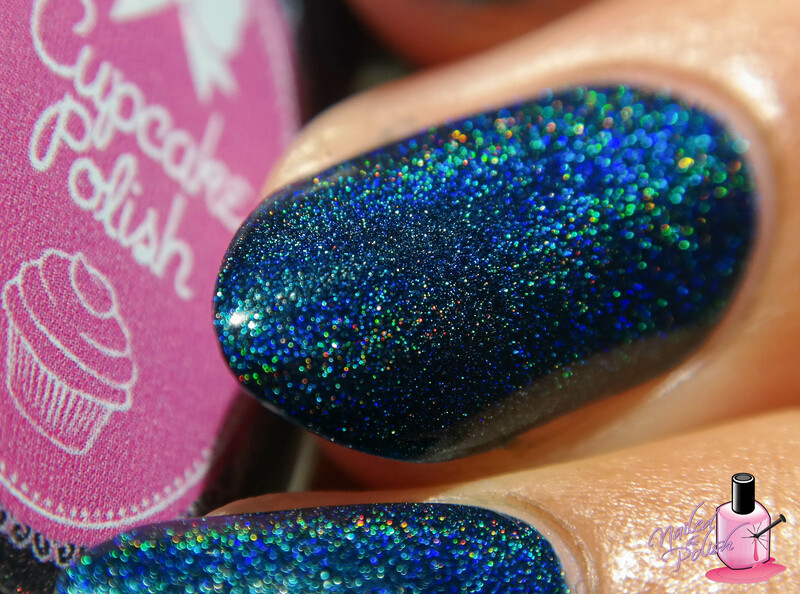 Bat-chelor Pad is a deep denim blue linear holo. Shown here is ONE coat plus top coat. When I think of vampy shades of blue, this is what comes to mind! 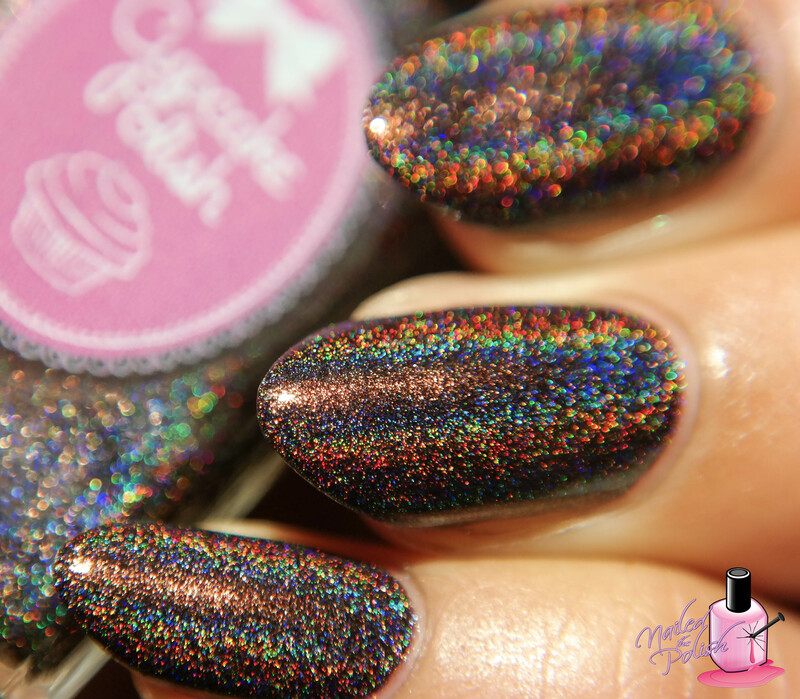 A deep, pigment rich shade with TONS of holo that also has a perfect formula! Absolutely lovely! 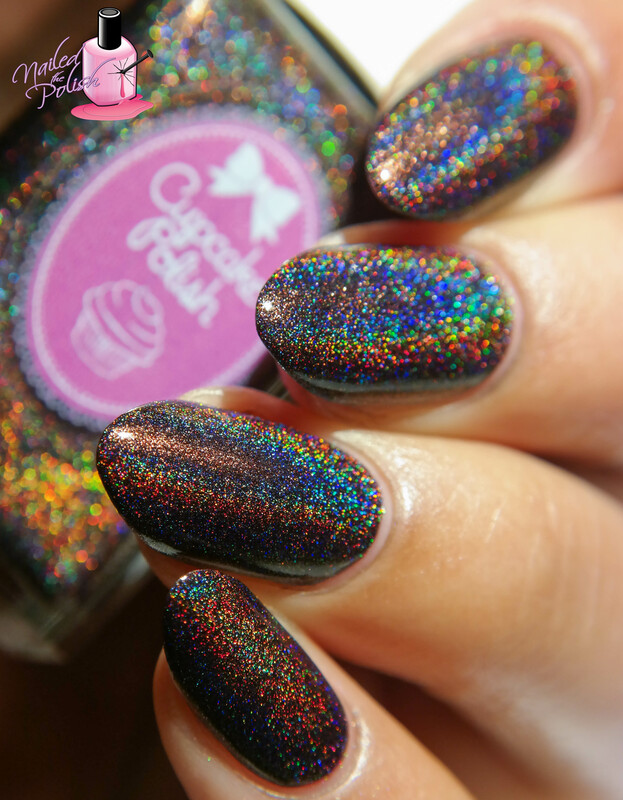 This polish has got a hold on me… and I don’t ever want it to let go! 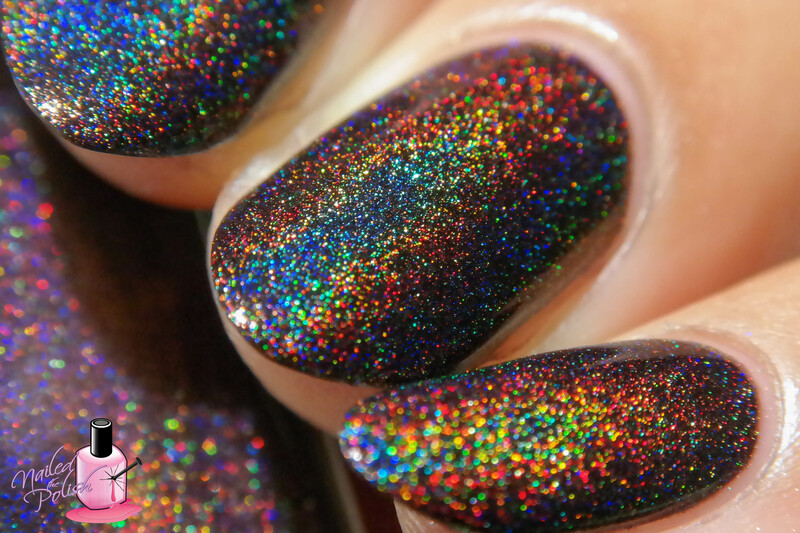 With holo like that, how could you not be obsessed!? Even the holo has holo…!! THIS. IS. THE. MEANING. OF. LIFE. 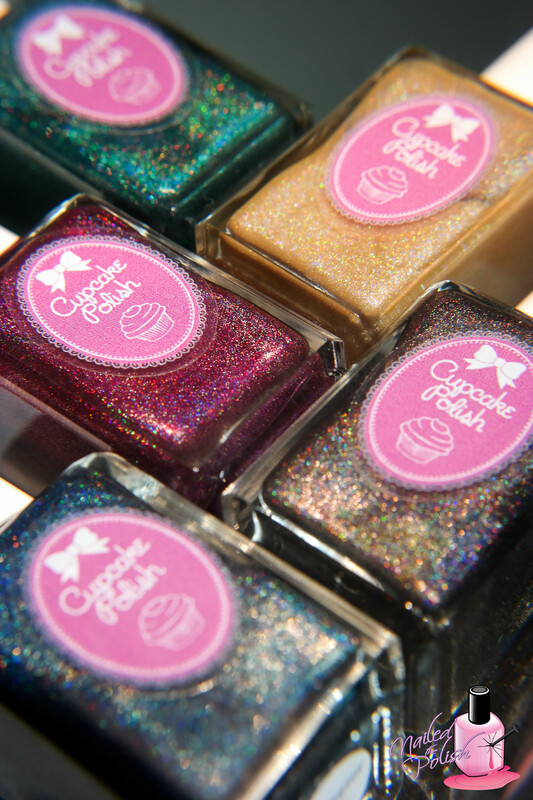 Cupcake Polish is definitely known for their holos and this collection proves why. It is freaking amazing! I mean… did you see how I totally just freaked out?! And I wasn’t just freaking out in my mind… My hands were waving around, mouth was open, chills and cold sweats, heart racing… Okay, I think you get the point. This collection is the holy grail of vampire inspired collections. Now for the deets! This collection will release this Saturday, September 26th at 11am CDT. They will be $13 each and will be listed here. So are you as obsessed with this collection as I am? Any shades you plan on picking up? So beautiful! The whole collecting is bananas, but Coffin Break. 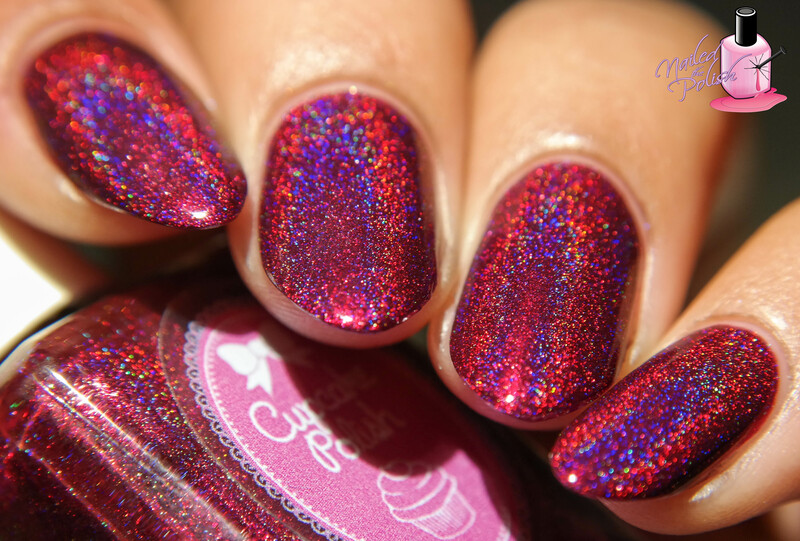 Holy crap on a cracker that polish is insane!! Thank you so much! Isn’t it?! I can’t stop thinking about Coffin Break! Absolutely amazing!